Hotel Kroma in Ragusa is a three-star hotel, elegant and comfortable, offers a relaxing and peaceful stay even though they are situated in a very central position. It’s located in an excellent position to easily reach the historic center of Ragusa Superiore and Ragusa Ibla, the oldest part of the city, a wonderful example of the Baroque of the Val di Noto. Hotel Kroma differs for its modern design and comfortable easily accessible accommodation for disabled guests. Take advantage of the two-storey garage, whit a direct access to the hotel. Combining traditional elegance with modern facilities, it offers individually controlled rooms with air conditioning and free Wi-Fi. 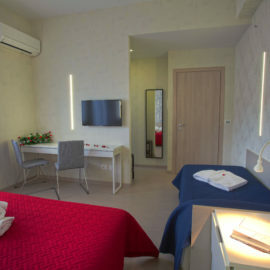 The elegantly furnished rooms are located in the main building and in the new annex, just 10 meters away. Next door you will also find the restaurant-pizzeria where you can enjoy typical Sicilian specialties. 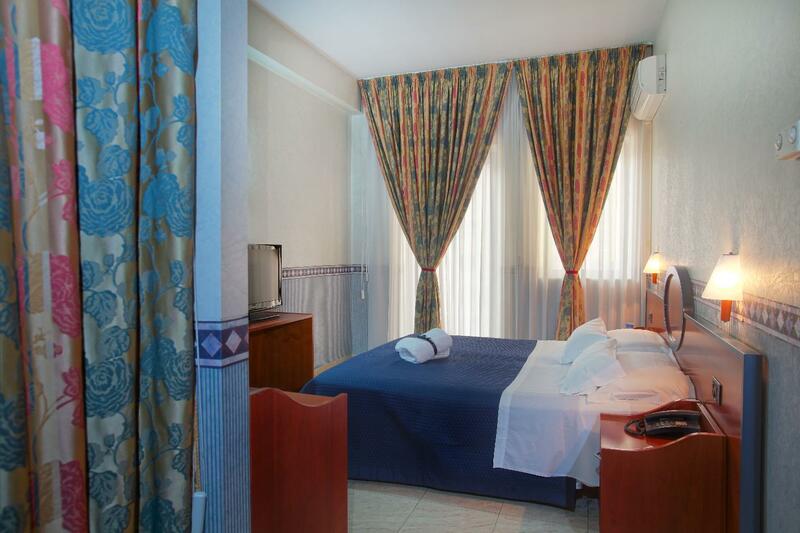 Hotel Kroma has excellent price performance, an ideal solution for sleeping in Ragusa. In fact, there are very interesting individual rates, offers and advantageous promotions for weekends and groups.